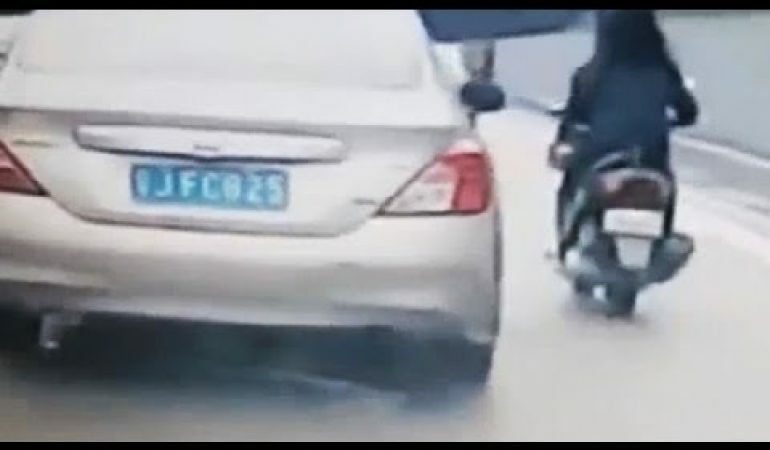 This is probably one of the quickest instant karma you’ll see after a Nissan driver nudges a motorist but loses his car’s rear bumper in the process. Is that a real Nissan build quality? Seems like the bumper was just held by some glue or chewed gum. Totally hilarious and a well-deserved epic fail for such impulsive action. We may not know what made that Nissan driver angry but that is clearly the motorist can easily use the dashcam footage to report it to the authorities. Have a good laugh and see it for yourself with the video below.